"There was some debate around Joe Root's dismissal and whether the ball carried but, as far as I'm concerned, it was out. Clearly." 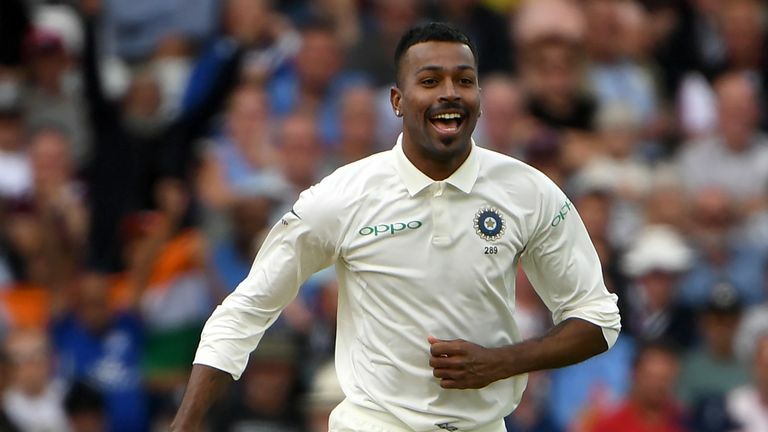 England lost 10 wickets in a session for the third time in the last two years but you have to say that the bowlers bowled well for India, Hardik Pandya in particular. He kept the ball up, which was so important, and it was swinging around. A couple of shots from the England batsmen were a little bit out of character, for instance Chris Woakes hooking at that ball. I don't think that was advisable at that stage of the game. He wasn't really 'in' yet, you couldn't say he had been at the crease for a long while and so knew exactly what was taking place to be playing a shot like that. That is a high-risk shot - whether you are good on the hook or not. Under those circumstances, he didn't need to be playing that shot but I think the bowlers bowled well, you can't take anything away from them. They deserve credit for the way they changed things because the first spell from the Indian bowlers wasn't very good. They were bowling a little bit too short in my book. After lunch though, they were a lot better. They pitched the ball up, which is what you need to be doing. You could see the ball moving around, there wasn't a great deal of seam but there was enough and it was swinging around so you have got to pitch it up - that's what they did and they got their rewards. There was some debate around Joe Root's dismissal and whether the ball carried but, as far as I'm concerned, it was out. Clearly. If you look at the freeze frame, you can see KL Rahul's fingers pointing towards the ball. Whenever you see that, there is every chance that the ball has hit the fingers. 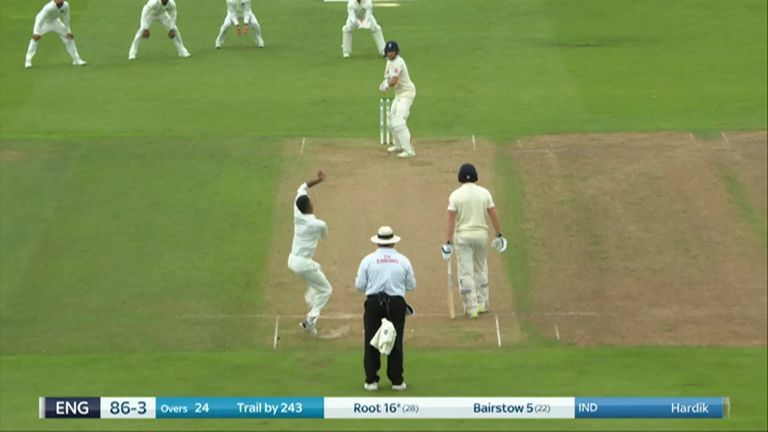 When the fingers are pointing towards the ground, that is a completely different situation and that is what happened with Shikhar Dhawan at Edgbaston, that was given not out and you could clearly see his fingers pointing towards the ground. If that's the case, it's difficult to say for sure that anything is under the ball. On this occasion, the fingers were pointing to where the ball was coming from, there is every chance they were underneath it and the ball then came up into the palm. The only thing England can do to get themselves back into this game, or even just give themselves some hope, is take wickets. India are batting well, they have a very healthy lead and when you get a first innings lead of 160-odd, that puts you in a good frame of mind. Dropped catches are not helping England, they need to get the edges and take the catches, especially when you are chasing the game. There is nothing else that you can say they need to do: wickets are important. But India lead by 292, that is a lot of runs already with only two wickets down. Watch day three of the third Test between England and India from 10.30am, Monday on Sky Sports Cricket.